Welcome to the cTrader community forum where traders can share ideas, ask questions and learn about trading using the cTrader platform. We recommend that you visit the Knowledgebase first for an answer to your question. The ClickAlgo community forum provides traders of all ages access to information regarding cTrader and our trading products, it is also designed for individuals to help each other, and to help their fellow peers. With that in mind, we ask that all members please follow these simple rules in order to create an atmosphere where everyone feels comfortable. This forum is for beginners using the cTrader platform. If you are new to trading and have a question, this is the best place to ask it. 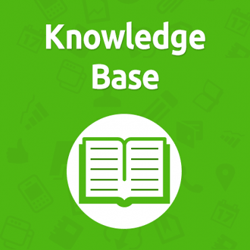 If you're looking to learn how to use the platform, please visit our knowledge base which can be found under the 'Support' section of the menu. The magical place where all traders can gather together to discuss anything and everything about how to build and use automated trading systems (cBots) with the cTrader platform. Learning how to backtest or optimise your cTrader Automated Trading System and be difficult at times, just post your question here or find the answer by searching the forum. Most traders trade manually, this forum is for anything related to general trading, so pretty much anything goes within reason, post your questions regarding trading no matter how wild your idea may be. Need a forex broker that uses the cTrader platyform, have a question about a specific broker or have a broker review to share? This is the place for you! If you have some ideas on how we can offer additional services for traders or additional features to make any of our trading software more usable then please post your ideas here. Please use this Forum to discuss the free indicators, cBots and trading software that is available from our website. If you are trying one of our free trial downloads and you have found a problem or you are having difficulties with setting it up, please post your questions here. If you have any questions on how to use any of our software products that you have paid for please post your question here. I hope that traders will share their parameter settings for the automated trading robots provided by clickalgo.com so that everybody benefits, please post your settings.